Press <i> on your keyboard. 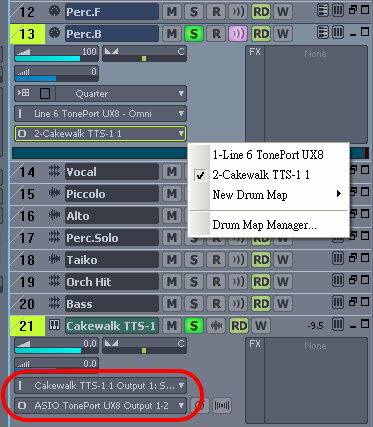 You may choose midi solo track(s) output to synth track(TTS-1), and the [S] of the synth track will be automatically on. 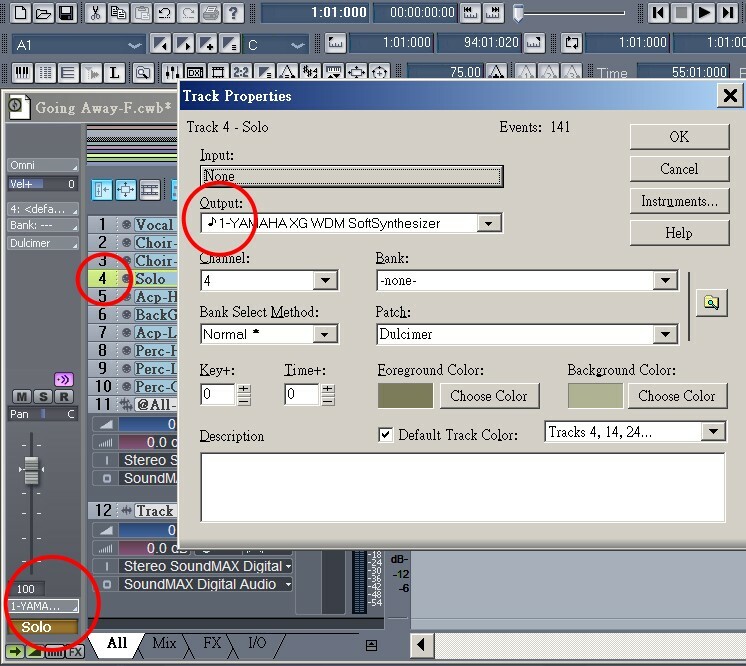 The synth track must be input from TTS-1(or other synths) and output to the audio interface (or sound card). 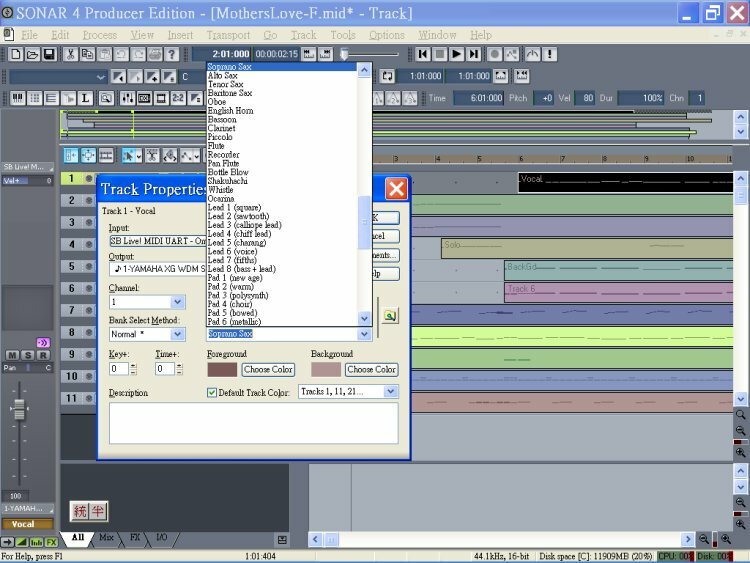 All midi tracks output to Yamaha. 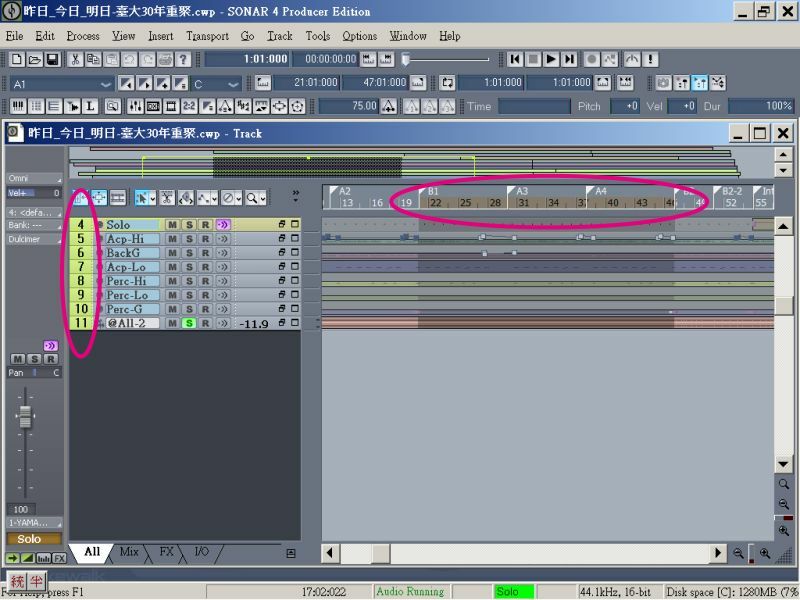 Track 4 is an example. 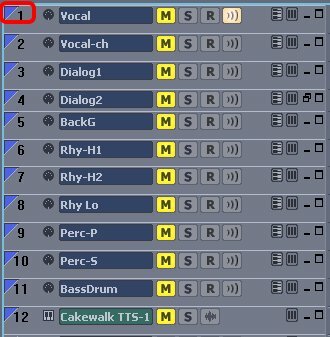 Reverb is the most useful choice. Select a specific color for each group. Select the striper on the up left corner of the track to organize quick group. <Ctrl> and <Shift> are also applicable. Then, go to the 'Console View". 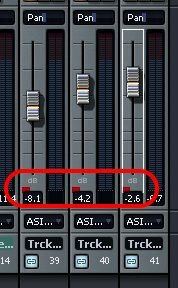 Sonar will make them into same group (red). Use double arrows icon to show/hide staffs. 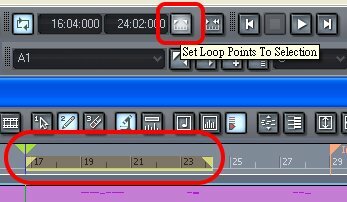 Click 'Trim duration' to display correct notes. This view does not provide 'silence' notes, you got use the position to decide the silences. It will be confused as follows, if 'Full duration' is on. Staff View is for minor modifications, it is not recommended for composing. Piano Roll View is better for deliberation. 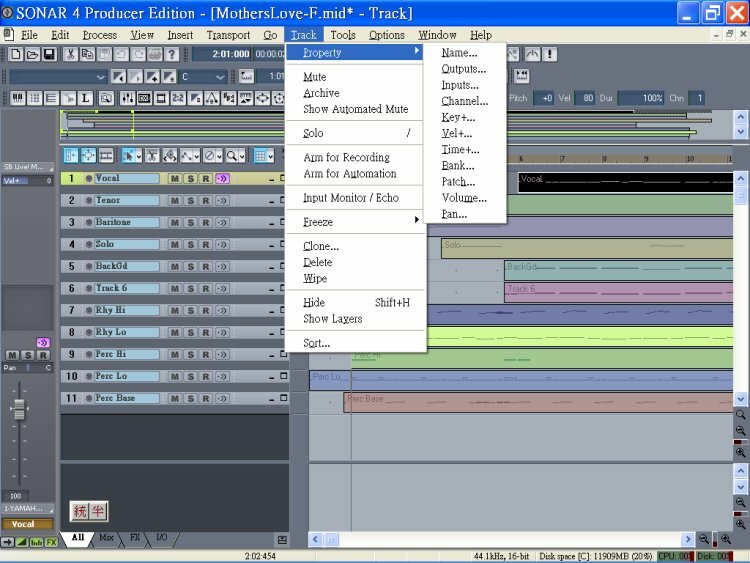 The same icon for setting tracks. 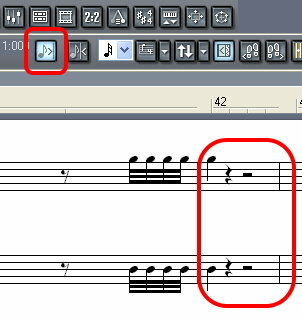 If you select multiple notes, the Event Inspector toolbar displays the note value if all selected note values are the same. If the note values are different, the Event Inspector does not display anything. In the appropriate Event Inspector toolbar field, change the value. See the table below for a description of valid value entries for each field in the Event Inspector toolbar. 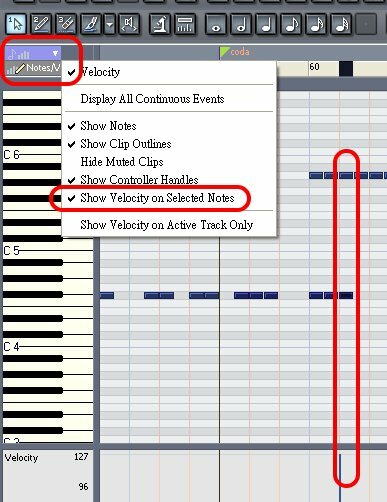 This setting is very useful for multiple notes sharing a same velocity. 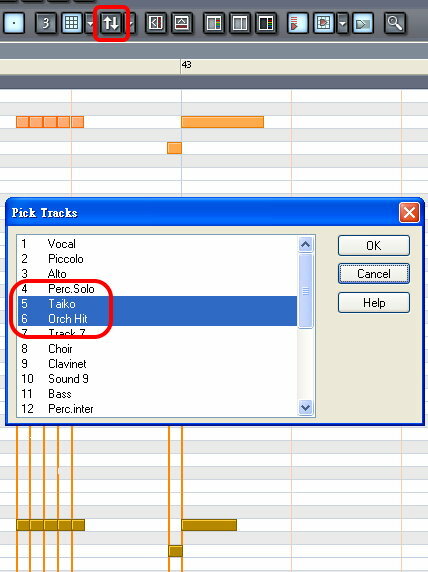 Then you may use "select" and "pencil" tools to modify each note.